Students live in dorm buildings allocated by age and gender and Residential Staff members live in the dorms to care for the students and their environment. Intermediates in grades 5-8 and the seniors in grades 9-12 share 2 to 4 person rooms. Rooms are equipped with beds, linens, and cupboards for storage, and our students personalize their rooms extensively to create a home away from home. The schedule listed below is followed for most of the year. Minor changes are made at times to account for special Sadhana programs and changes in the weather. Sports and physical training comprise a major portion of our curriculum at MPA. Our philosophy places great emphasis on developing fitness, agility, and a cooperative spirit. From Monday to Friday, at least two hours a day is dedicated to physical activity. 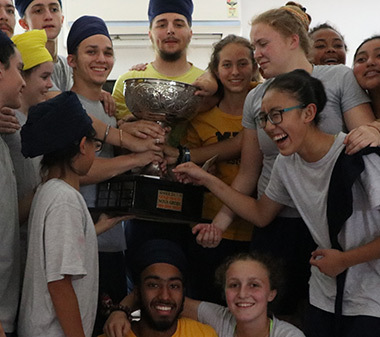 All students must take part in a variety of programs, including running, rigorous fitness training, yogic workouts, and Kabadi, a traditional Punjabi wrestling sport. All students are tested at the beginning of the year to provide a physical fitness benchmark and set goals for achievement before the end of year Physical Fitness Test. 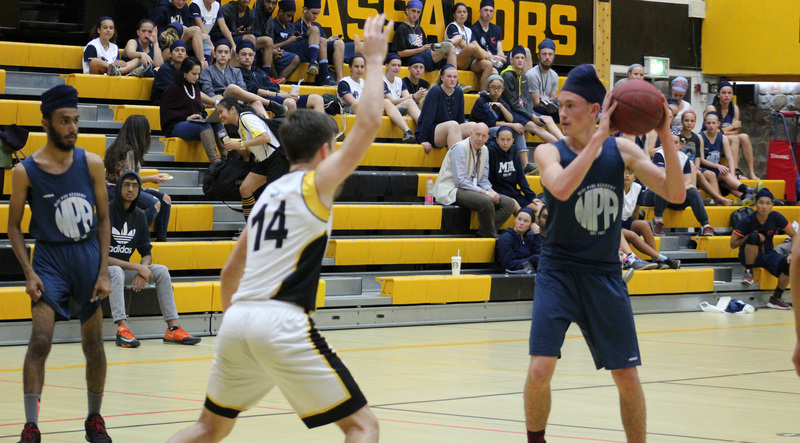 Team sports provide an important venue for the development of cooperative social skills, and our junior and intermediate students are trained to participate in and enjoy sports through separate, basic skills training sessions each week. 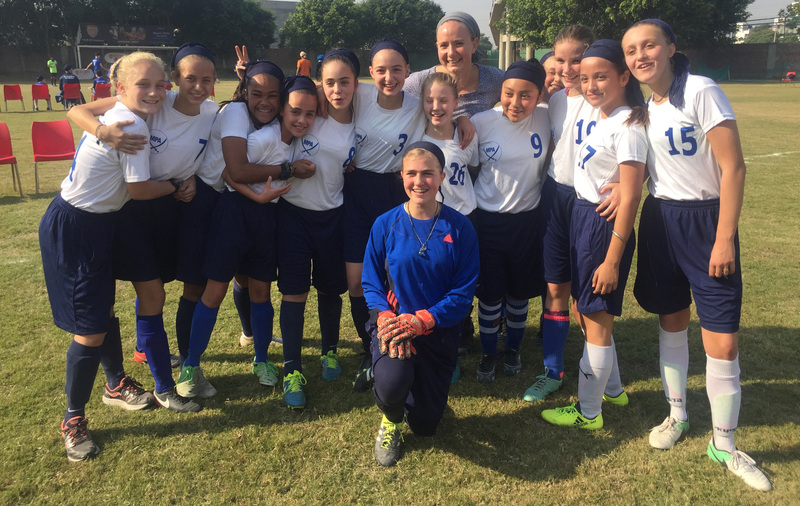 Our soccer and basketball teams train throughout the year, and the more committed students travel to Delhi to take part in sports tournaments at the American Embassy School. The Kabaddi teams play, with great success, in local tournaments. One of the greatest challenges for parents and young people today is finding a balance between online life and analog life. At Miri Piri Academy most students arrive with phones, laptops, tablets or video games in tow. While navigating the online digital world is an important modern skill that every child must learn, of equal importance is the ability to balance that digital world with a connection to the living, breathing beings around us. We must be able to relate to our own breath and body, to pay attention and listen to other people, to sit still and do nothing without constant information overload, to invest our creative energy in sports, creative arts, or to focus on reading or research or the natural world around us. At Miri Piri Academy it is our philosophy that young children benefit from living in the real world the majority of the time. We want them to retain and strengthen their ability to concentrate, to be present and to connect with each other. We also want them to learn to find a balance and self-regulate when needed. All students give their electronics to staff and check them out at allowed times in the evening and on weekends. Electronic-free days are also implemented at least twice a week to give students the opportunity to experience the difference in the quality of their social lives and concentration when everybody is present with each other. Students can communicate with their parents and friends at home most days in the evening or during the day on weekends, aside from those electronic-free days. Computers are also made available for school or college research as needed. 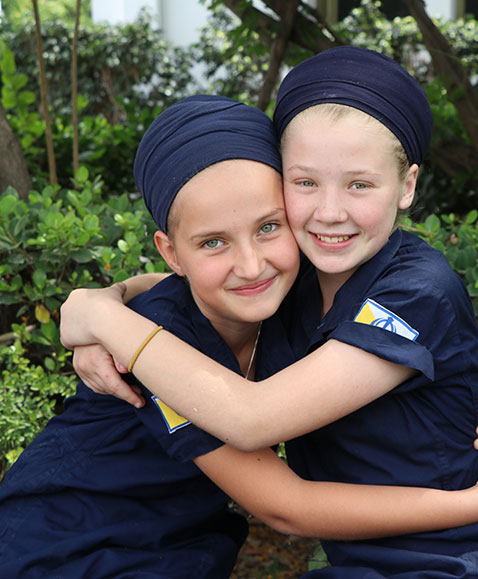 Miri Piri Academy is located in the Indian state of Punjab, just outside the city of Amritsar. The campus, spreading out over 17 acres of rural land, rests peacefully in the village of Chheherta. Campus life revolves around a strong sense of discipline and community. The student body is divided into houses, and further into squads, to foster leadership and shared responsibility. Students live together, eat together, and support each other through the very busy daily schedule. Dorm cleanliness, personal hygiene, and etiquette are strictly enforced. 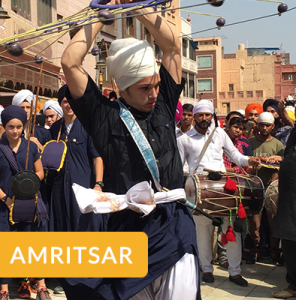 Amritsar is a rapidly modernizing city, boasting an International Airport, restaurants, and retail stores recognizable around the world, and the upcoming completion of business-oriented modern hotel chains. The Golden Temple attracts visitors from all over the world, and the business sector continues to expand at a very rapid pace. Despite this growth, the narrow alleyways and bazaars of the old city continue to form the heart of the Amritsar experience. The people of Amritsar are proud of their cultural heritage, old customs and traditions comfortably adapting to the growth of modern industry and infrastructure. 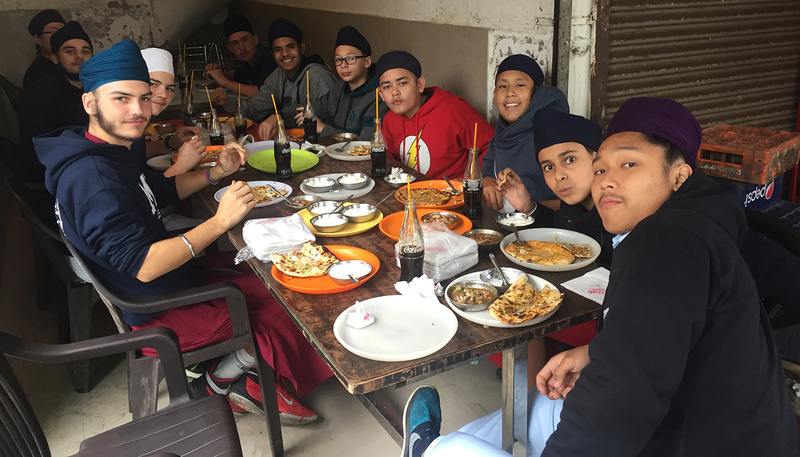 Students report that the twice-monthly town leave trips are some of their most effective Punjabi classes, affording them the opportunity to converse, bargain, and explore the city of Amritsar. Students spend their time in town eating at their favorite restaurants, which include Domino’s, Pizza Hut, Subway, and some of the best local street food vendors. They shop in the vibrant and crowded Bazaars of the old city, and the trendiest modern shops. Imported food vendors, tailors, and music stores also receive a lot of business from our students. 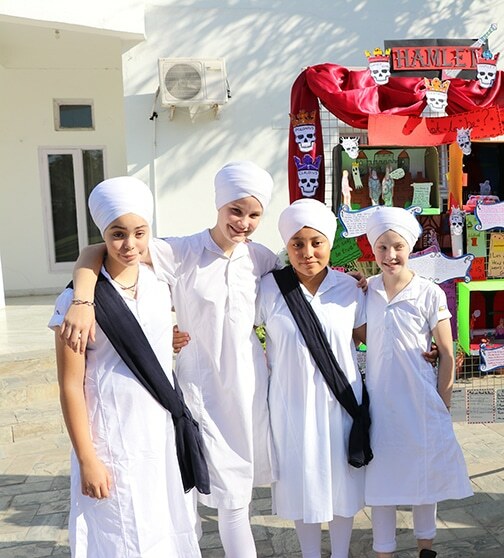 As a result of these trips, the clothing and rooms of the students reflect a decidedly Punjabi air, with bright colors, rich fabrics and traditional Punjabi music blending with their western cultural heritage. Outside the secluded campus of Miri Piri Academy lies the great state of Punjab and its rich culture. While the school is situated in a rural farm setting, it is only twenty minutes from the City of Amritsar. 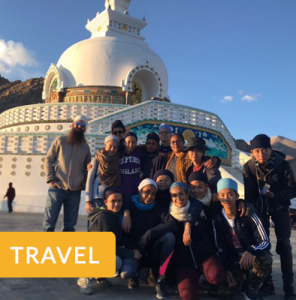 Students have many opportunities to interact directly with the local people during twice-weekly trips to Harimandir Sahib, the Golden Temple, various academic and spiritual field trips to local museums, Gurdwaras, and festivals, and twice monthly town leaves. 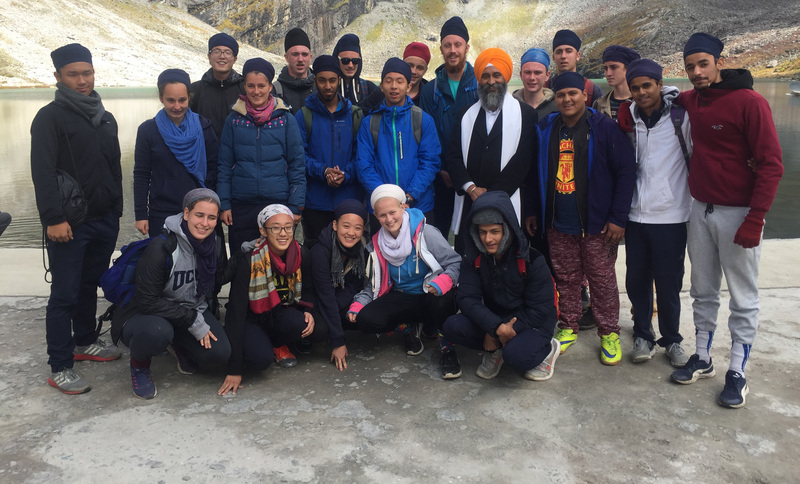 At Harimandir Sahib, the students join the faithful in their meditation and service, participating in an experience that is central to the life of Sikhs in Punjab. Students wash the floors of the Parkarma, enter the temple to sit and meditate, and occasionally join the Sadh Sangat for langar. 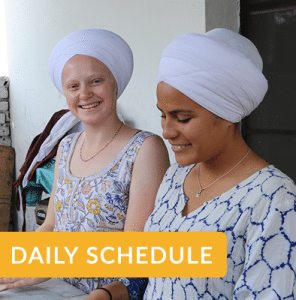 Every sixth of the month, the students go to the Akal Takht to play Gurbani Kirtan for the Sangat and commemorate the martyrdom of the Takht in 1984. Throughout the year, students visit local museums and Gurdwaras to supplement their academic studies on the culture and history of Punjab. The Gatka squad is also invited to participate in many parades and festivals throughout the year. This affords the students an opportunity to join in the celebrations of the biggest holidays and most cherished traditions of the Punjabi culture. Students walk, perform and spar with people from all over the state of Punjab, sharing in the excitement, the spirit, and the life of the people. During our annual Winter Break, we visit one or two towns in North India. Our previous destinations have included Delhi, Shimla, Chandigarh, Rajastan, and Dharamsala, the home of the 14th Dalai Lama. For the Spring Break, we have traditionally traveled to Rishikesh, a beautiful town at the foothills of the Himalayas that is close to the source of the legendary River Ganges. Our twelfth-grade students travel each year to countries such as Singapore, Thailand, Malaysia and Australia to take part as teachers in youth camps set up in those countries. Students have the opportunity to inspire, teach, and have fun with children from all over Southeast Asia at these camps, and of course, they also take a few days off to relax and see the sights. The location of these trips varies each year. Students and staff at Miri Piri Academy eat together in the school dining hall. Professional cooks from an independent food service company prepare three vegetarian meals per day, many of them based on traditional Punjabi cuisine. Fruit, nuts, yogi tea, electrolytes, and milk are served during the day, depending on the season. Miri Piri Academy is committed to the health and safety of our students. The school has a 10-bed infirmary, and there is a qualified nurse on duty from 8:00 a.m. to 8:00 p.m, or otherwise on call. Treatment for minor illnesses and first aid is given immediately at the infirmary. For more serious medical issues, the school has its own ambulance and arrangements with various doctors in Amritsar. In case of an emergency, the patient can reach the hospital in 20 minutes maximum, depending on the time of day and traffic. Students also have access to dental care and the services of an optometrist at least once per week. Homeopathic doctors are frequently consulted as well. The medical coordinator keeps all parents informed of their children’s health issues and ensures that students follow the recommendations of the doctor. To ensure the safety and security of our students Miri Piri Academy employs a professional security firm to provide 24-hour surveillance of the grounds and facilities and conduct a thorough screening of all who enter the gates to the school. While off campus, students travel in prescribed groups with a designated and trained group leader and carry identification cards with the telephone numbers of school personnel who can assist them at any time. The school maintains connections with the local police, intelligence agencies, and the US embassy to ensure the safety of our students at all times.